My motto (most days anyway) is to keep things simple but good. Lord knows I can complicate some of the most simple of tasks some days. This is kinda the no-recipe, recipe. And I really love this stuff. You can use it on salad or it can be a dipping sauce. I think I first started loving this when I ate at Chili’s years and years ago for the first time. I had their Chicken Crispers and this was the dipping sauce. After eating that, I had to go home and try to make some that tasted just like theirs. My husband was in the Navy at the time and we were about to move overseas so I knew I was gonna have to make a lot of my favorites from home since I wouldn’t be able to get my hands on them very often once we moved. And I’ve been making it ever since! Whisk together. That’s it, so easy! Cook’s Note: You can make as little or as much as you like of this stuff. All you need to remember is to measure out equal parts of each ingredient. My family loves dipping cheese in Honey Mustard. Thanks for another great dressing recipe! This would be perfect for dipping just about anything! 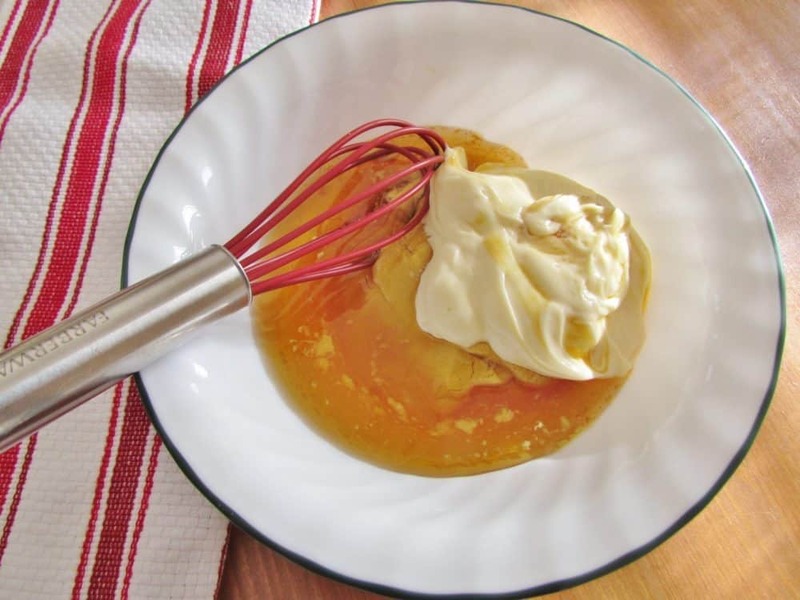 Love simplicity of this recipe, Brandie! 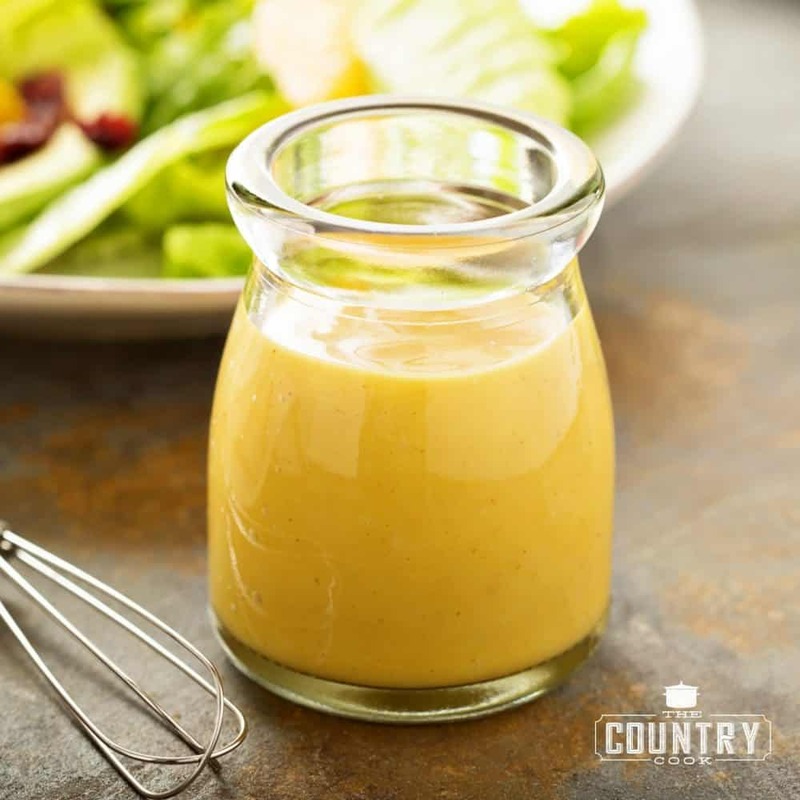 I'm love this dressing recipe! This recipe is perfection! I’ll never buy store-bought again! 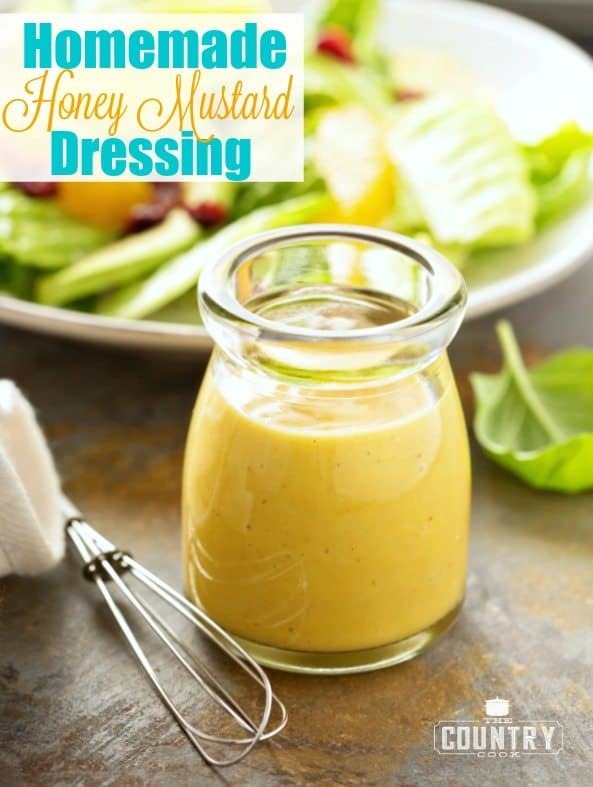 I love honey mustard dressing! It is so yummy over chicken breast cooked in the oven! Have a wonderful week my friend! I make this same dressing and 1 of my 3 kiddos thinks it is so incredibly awesome!! She even swipes the remainder of the jar to go back to college with her if it's in the refrigerator. 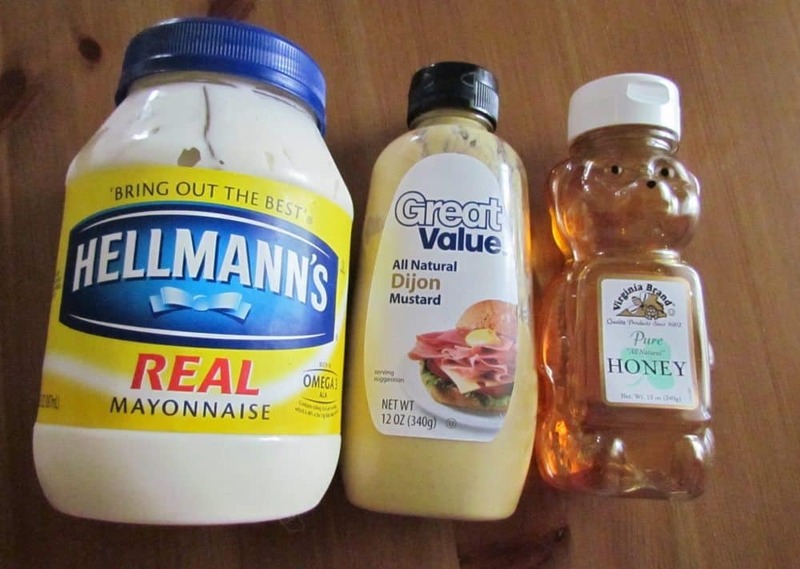 Just make a note on the jar when the mayo expires and keep this on hand…it's yummy!! Easy, yummy, and versatile – that is a good recipe! Hi there – Am lovin' your site and all the fantabulous recipes I'm finding. Had to chime in and tell you that my best friend of 30+ years and I have been making a recipe extremely similar to this for years and it's always fabulous. 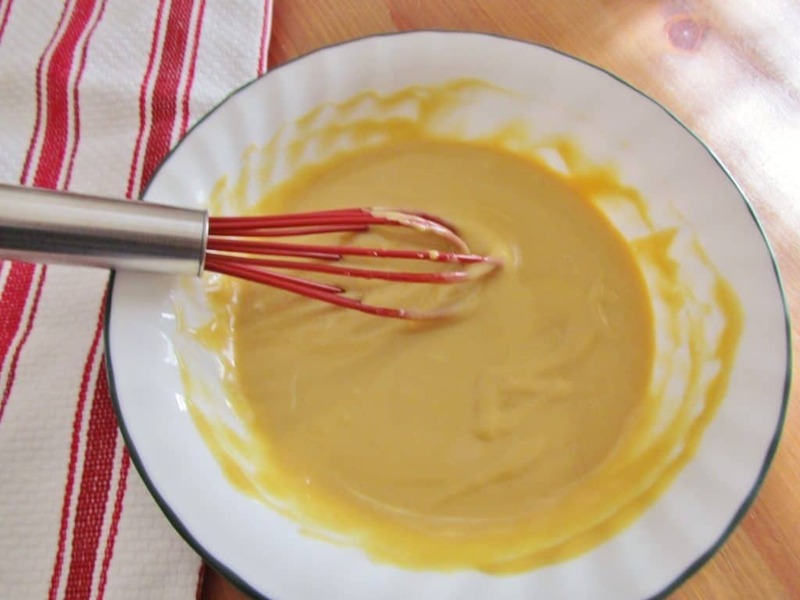 Only differences are we use regular mustard and a good dash of regular paprika. It's amazing how the paprika changes it! From another Bama gal – Thanks so very much for a fabulous site! 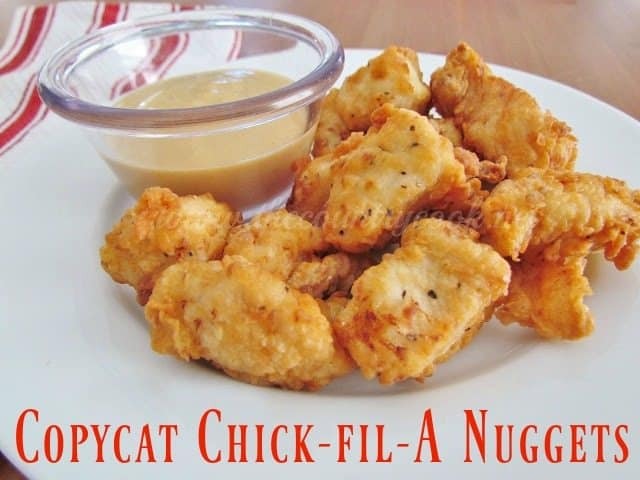 If you want to make a sauce that tastes like "Chick-fil-a Sauce", use mayo, a dash of regular mustard and bbq sauce…AMAZING! Thank you for the recipe. I've struggled to come up with a good honey mustard by winging it on my own. Now I realize it has to be Dijon (I always tried with regular mustard), honey and mayo. I never added the mayo and knowing to use equal amounts of all sure helps. Can't wait to try it! i am trying this recipe for my cream cheese sausage balls!!! I really cannot wait to try these dressings. Hope you love them Marlene!